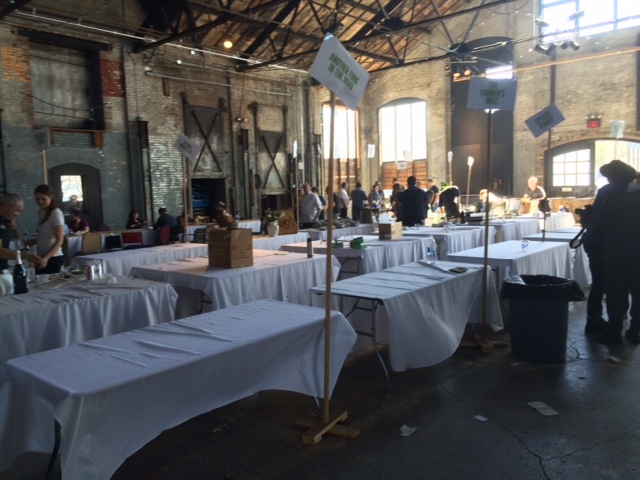 On one of the most beautiful days of the year upstate (so far), the fifth annual Ramp Fest, a culinary celebration of “the wild onion of myth and mystery”, took place last Saturday (5/2/15) at Basilica Hudson in Hudson, NY. 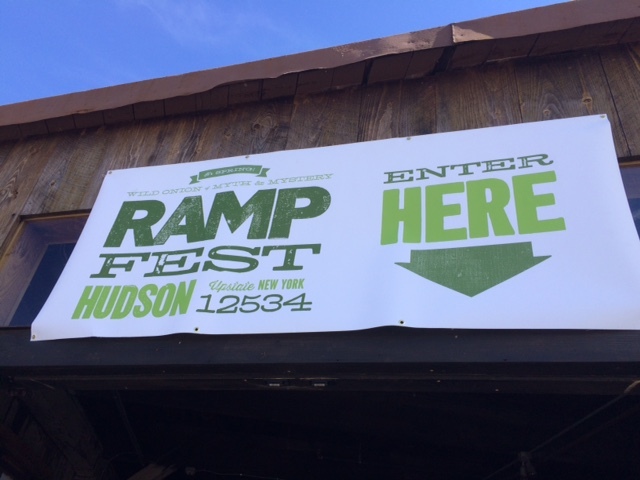 It’s no secret that we’re big ramp fans here at Upstate-Downtown; we always look forward to the event in Hudson, which is spearheaded by Swoon Kitchenbar. 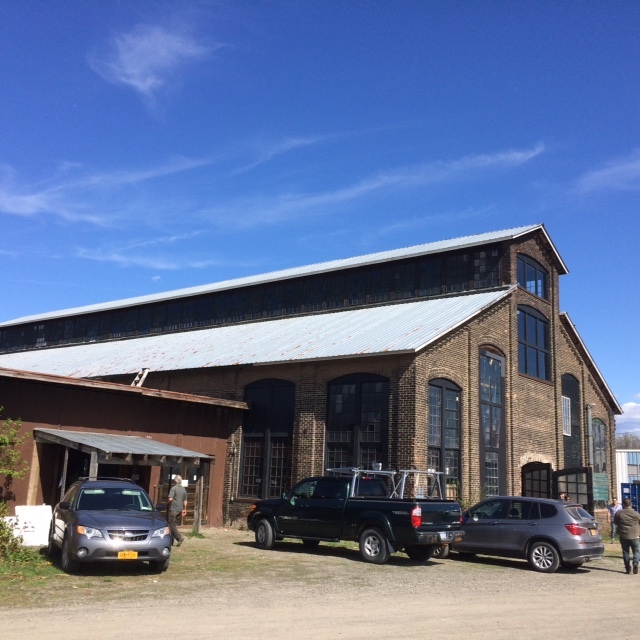 Fortunately, Miss Lucy’s Kitchen (Saugerties, NY) still had some of its Ramp and Jalapeno Margaritas left, so the afternoon was not totally lost! 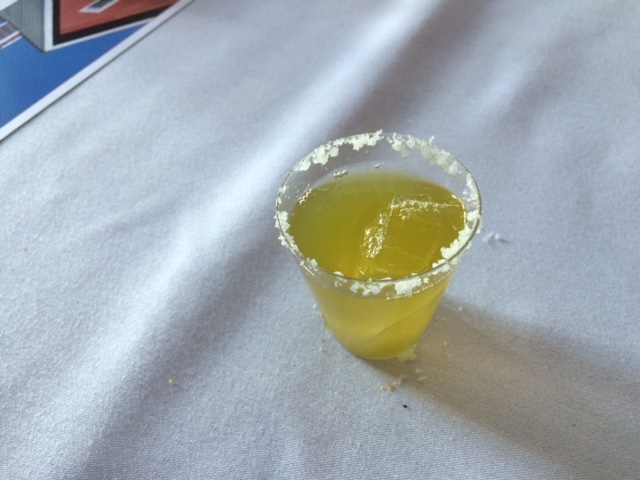 It brought a bright, savory kick to the traditional Margarita — an excellent use of the tonic spring green. 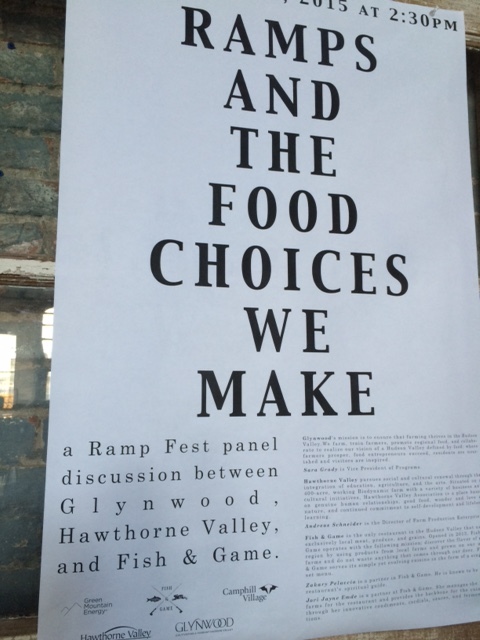 This year’s Ramp Fest featured some education as well, namely a panel discussion on “Ramps and the Food Choices We Make”. As a wild plant with a long and fragile life-cycle, ramps can easily be over-harvested (even wiped out in places). So, introducing the sustainability concept with regard to ramps (something we’ve emphasized at Upstate-Downtown), especially to a ravenous, ramp-crazed crowd, was a welcome addition to the festival. Note to self: Don’t be late to Ramp Fest 2016! 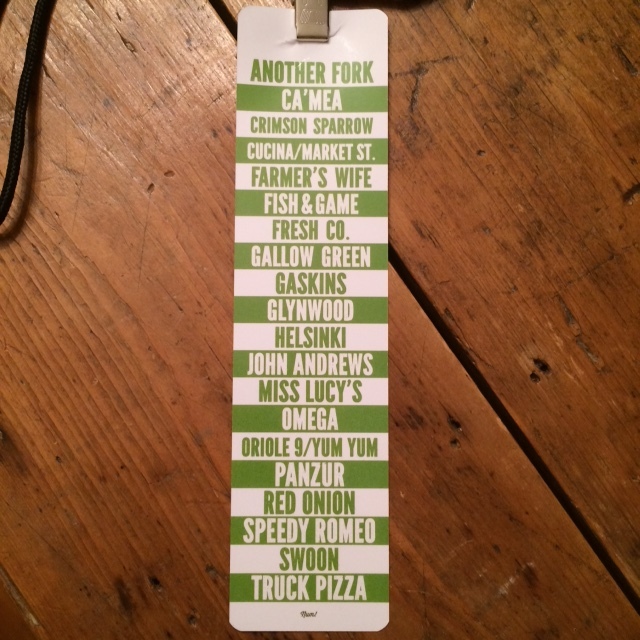 This entry was posted in Eco-friendly Products, Environment, Food, Hudson Valley, Restaurants and tagged Basilica Hudson, Foraging, Miss Lucy's Kitchen, Ramp Fest Hudson 2015, ramps, Swoon Kitchenbar. Bookmark the permalink.